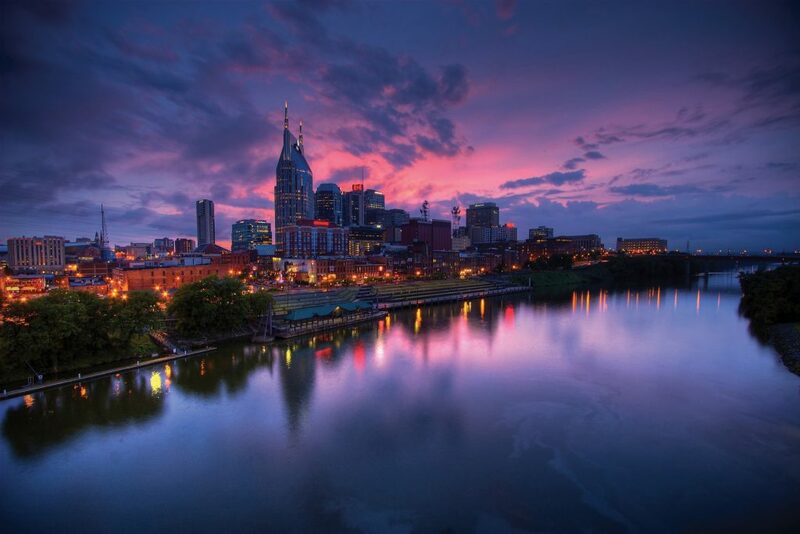 Tour the Music City sights from J.T. 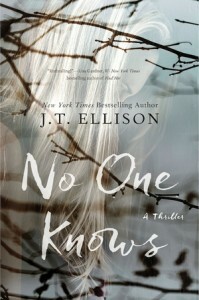 Ellison’s latest thriller No One Knows. 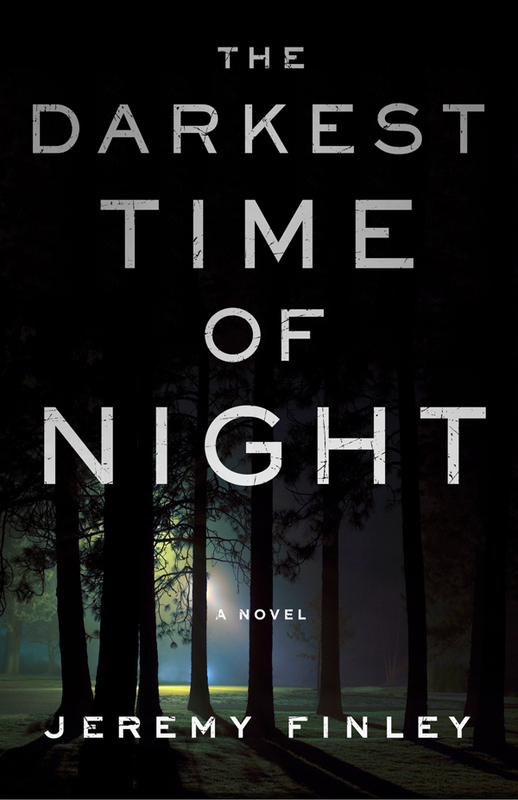 Set against the Nashville, Tennessee skyline, No One Knows is a page-turning thriller packed full of madness, deceit and murder. Five years after his mysterious disappearance, Aubrey Hamilton’s husband, Josh, is declared dead by the state of Tennessee. Aubrey can finally move on with her life, but that’s not what she wants. She wants her husband, her rock, her savior back. After some very dark years of being accused of Josh’s murder and trying to come to terms with the fact that he may not be coming back, Aubrey is leading a quiet life as a Montessori school teacher. Long runs in Dragon Park help to clear her head, and a part-time job at her best friend’s coffee shop keeps her from being alone at night. But when a handsome stranger who reminds her so much of Josh — along with a menacing man who tells her Josh may still be alive — enter her life, Aubrey is forced to face some hard truths about herself and her husband. Take a tour of J.T. Ellison’s Nashville, centered around the West End/Vanderbilt neighborhood, and chat with her on Twitter May 5 at 8 p.m. EST using the hashtag #srbkchat. Aubrey and Josh lived in Green Hills while they were married, but Aubrey is forced to downsize to a “shabby little house” on West Linden to help pay off her legal bills. Her new neighborhood is on the other side of Interstate 440, and Ellison uses the sights within running distance to give the reader a taste of her Nashville home. Aubrey turned to running rather than drowning in her sorrows, and in Chapter 2 she takes off “up the rolling hills of her neighborhood … onto the grounds of Vanderbilt University.” This is where Josh was getting his medical degree — and where his troubles started. Aubrey and Josh also head to the Vanderbilt Library as children to investigate Josh’s father, and Aubrey returns when they are married to do some research of her own. Find some visitor tips for the university here. 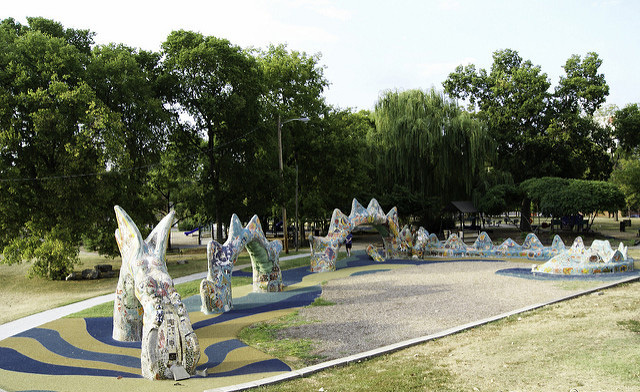 Located between West Linden and Vanderbilt, Fannie Mae Dees Park is known locally as “Dragon Park” because of its large mosaic serpent sculpture. Aubrey and Josh lived near this park as children, and now it’s part of Aubrey’s running route. In Ellison’s story, the park also contains a century-old oak carved with proclamations of love. Aubrey and Josh’s own initials are there, and they leave messages for each other in the tree’s hidden hole. Josh and Aubrey get into a fender bender on their way to the Opryland Hotel for a bachelor/bachelorette party. They hail a cab, arrive late and part ways at the hotel entrance, but Aubrey later finds out that Josh never made it to the party. While Aubrey attends to the bride in a back room and then gets a drink at the Jack Daniel’s Lounge, Josh’s whereabouts are a mystery. She gets lost trying to find him on the sprawling property. Aubrey works nights at her friend Meghan’s coffee shop, Frothy Joe’s. In the book, it’s located on 21st avenue and popular with the Vandy students. In recent years, Nashville has become a mecca for coffee shops, so there are plenty of options all over the city. 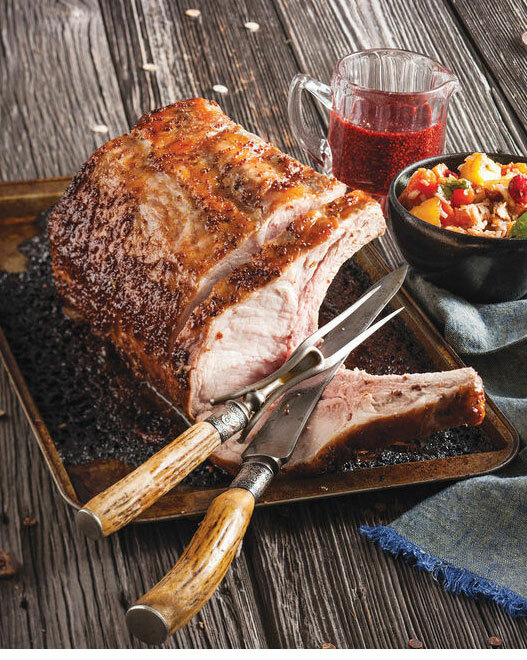 Frothy Monkey has four locations across the city and serves locally roasted coffee, along with breakfast, brunch, lunch dinner and craft beer, wine and cocktails. 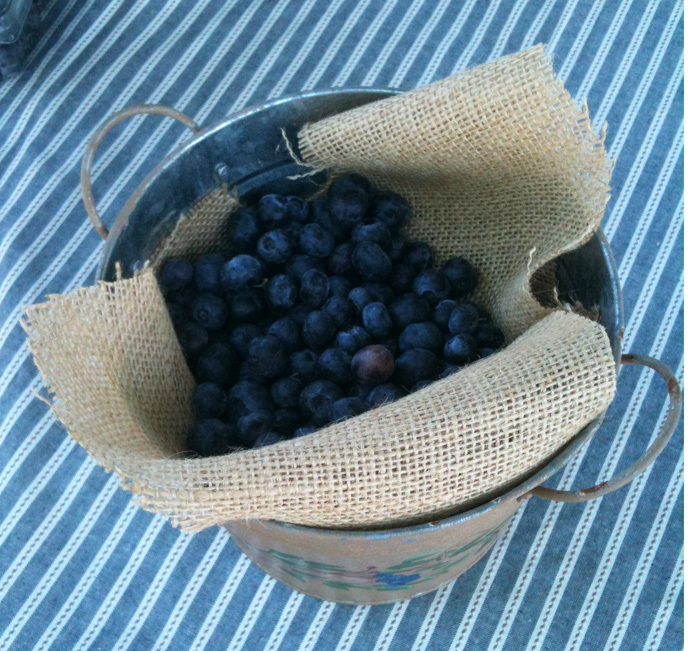 Find out more about Nashville’s coffeeshop culture here. As kids, Aubrey and Josh cut school to spend the day together and go to the Soda Shop on Elliston Place after visiting their tree in Dragon Park. They get a booth in the back and order root beer floats before a creepy man shows up and tries to talk to them. He says he’s Josh’s real dad and that he just got out of prison, a realization that changes Josh’s world forever. 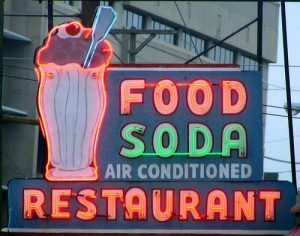 The real soda shop is located in Midtown and is a landmark that serves breakfast, lunch, dinner and everything from milkshakes, sundaes and floats like the ones Aubrey and Josh order. When her Sunday morning tennis match gets canceled, Josh’s mom, Daisy, heads to her favorite West End restaurant for brunch. Only, she ends up at the bar knocking back mimosas instead. When the bartender notices her getting tipsy and encourages her to order some food, Daisy rushes out of the restaurant. 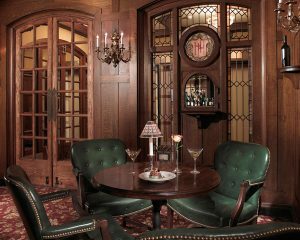 Located in a historical landmark building, the real Tin Angel serves dinner seven days a week accompanied by a wine list. Aubrey and Meghan enter this hotel to meet someone who can help them find out what happened to Josh. They head to the Oak Bar, described as “legendary, dark and paneled and quiet.” Aubrey had been there once before with Josh for their first wedding anniversary and remembers a perfect evening of double-stack cheeseburgers and Scotch. After hearing some upsetting information, Aubrey excuses herself to the ladies room, “bypassing the world-famous men’s room, a black and green art deco masterpiece.” The Oak Bar is still known as one of the best in Nashville and serves the Double H Farms Tennessee Stack cheeseburger. Headquarters for TBI are located on what Ellison describes as a “lonely hill overlooking the city.” Josh parks in the lot and examines the gorgeous view while contemplating how to save himself and his beloved wife. 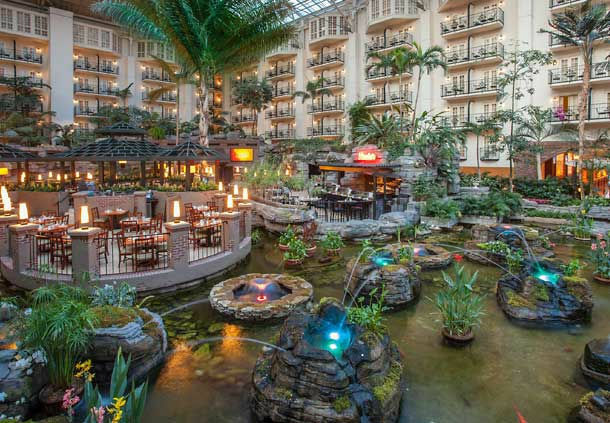 Photo credits: Dragon Park by Denise Mattox from Flickr Creative Commons, Opryland Resort from hotel website, Elliston Place Soda Shop from Facebook, Oak Bar courtesy of The Hermitage Hotel, and Nashville skyline courtesy of Nashville Convention & Visitors Corporation.